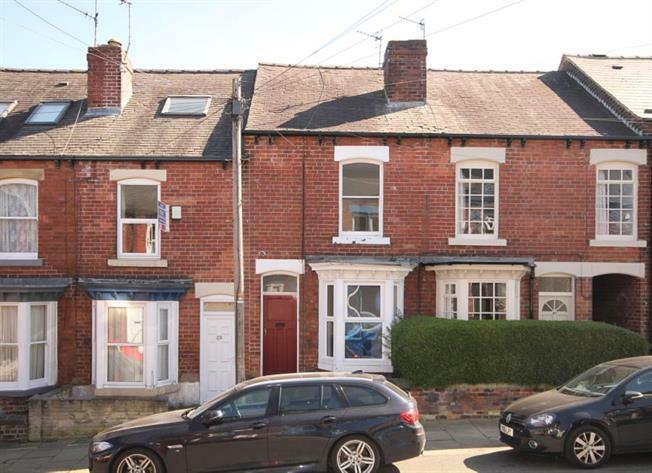 3 Bedroom Terraced House For Sale in Sheffield for £210,000. A three bedroom mid terrace house in this much sought after location overlooking Endcliffe Park. The property has gas central heating and double glazing to most windows and whilst requiring some upgrading offers excellent potential. The accommodation comprises a Bay windowed Lounge with views towards the park,a seperate Dining Room,Outshot Kitchen with hob and oven,a celler and on the first floor two bedrooms and a Bathroom/W.C. with shower. On the second floor is a third bedroom with velux window and outside an enclosed pebbled garden with storage. The house is ideally located for Endcliffe Park and all the facilities provided by Hunters Bar and Banner Cross.